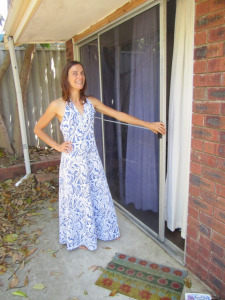 Does it feel embarrassing to face troubles in sliding the door or window you got installed with so much care? Don’t you get annoyed when your sliding solutions fail to deliver on the lofty promises and tall claims? 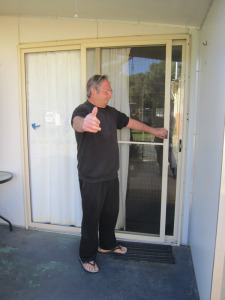 After all, you deserve better results after having invested a good deal of money to get the sliding door solutions installed. You need not worry, as Cover Tracks Australia is here that understands your problems and delivers the right solution. We exactly know what it takes to make your sliding solutions perform in the desired way to remove your troubles and end the routine embarrassments. 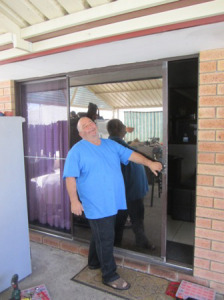 We know that lack of smoothness, bumpiness, jerks and zigzag movements are some of common problems faced by owners of sliding doors or windows. Trust us to deliverer you flawless solutions to end all your worries and get adequate operational efficiency with great performance. After all, sliding doors and windows are a growing phenomenon today with rising installation at homes, offices, malls, hotels etc. In spite of varying requirements of styles and dimensions with doors and windows, we ensure to let our clients find perfect sliding door solutions to retain the charm of the space and get ease of operation. Cover Tracks Australia is a leading manufacturer of sliding door solutions to match the diverse requirements of taste, style, dimension and operational ease. Our solutions are made with the highest quality of stainless steel to fit the requirements of both indoor and outdoor windows and doors. Our stainless steel sliding door track is made available in standard and custom width to serve variety of needs. These tracks are perfect to fit into any types of sliding doors or windows to deliver operational efficiency and visual delight. Our stainless steel sliding door track is made using only superior quality stainless alloy to hold up against perennial troubles caused by corrosion. We also give our clients a choice to let us use the stainless alloy that would indeed cost a lot less, but won’t deliver the same level of result against corrosion. Our cover tracks can be produced according to the specifics provided by the clients. In fact, to cater custom styles, we give a thickness that is asked of us. Similarly, with us, you can think of replacing sliding door rollers to get more quality. If the sense of operational ease is not felt, it’s time to get the inferior products out of the way. Our approach to quality means your replacing sliding door roller is going to be an advantageous move for you. Don’t tolerate lack of quality, as that might end up costing you lot more in the long run. Choose only a renowned manufacturer that deals in superior quality sliding door solutions. Our products guarantee to deliver impeccable performance and smoother operation to clients across domestic and international markets. Designing seven types of tracks, we’re synonymous with highest standard of quality and perfection. 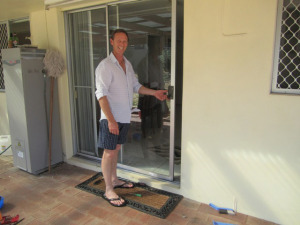 Our sliding door solutions are designed and manufactured in a way to perfectly fit into the needs of yours. The ease of installation and simple guidelines to use make our products highly desirable in the market. Our aim is to manufacture the finest stainless steel sliding door track to benefit the users in desired way. Our track record is a true testimony of meeting the expectations of the industry and our esteemed clients. Our track systems are known for their effortless ease of installation and flawless operation. With our systems, your doors just need a fingertip to get glided forward in silkiest way possible. Our stainless steel sliding door track delivers an enduring or permanent solution, thereby removing any need for alternatives once the doors are fixed by us. 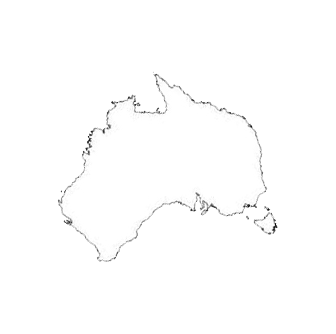 Cover Tracks Australia not only promises but delivers a solution that let you door to slide with just one finger. Unmatched performance and unconditional warranty are hallmarks of our solutions. 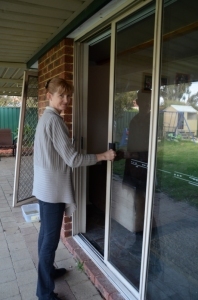 Our sliding door solutions free you from the burden of exerting massive effort to either open or close your door. More so, they end any occurrence of a bump or grind on the way to operation. Our customization expertise helps you serve with doors of varying widths, shapes and sizes, thus accommodating and fulfilling the requirements of clients of any hues. Any wear or tear is avoided with the help of smooth performing wheels for sliding doors. Smoother door operation and prevention of on-site damages are two of foremost priorities for us to benefit the clients in the way they like. Trouble free post installation is the result once our range of wheels for sliding doors is used. 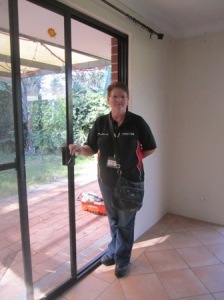 The best part is our ability to cut the track covers or wheels to suit any dimensions of door and windows. Once installed, you need not worry for replacement, ever, and that is a guarantee!